Searching for an elegant perpetual award that can be used for multiple winners? Our Perpetual Crystal Award features aluminum blocks that can be individually engraved for monthly recognition! 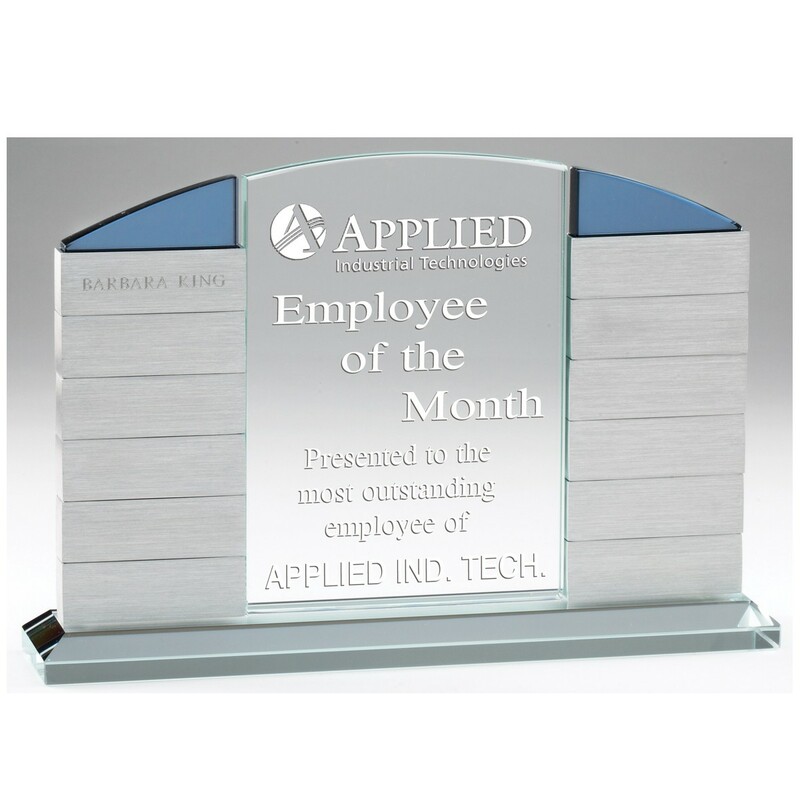 Measuring 6.5" tall by 9.5" wide, this crystal award features a large clear middle space for FREE personalized etching and company logo. Each side holds 6 stacking aluminum blocks, which can be removed and individually engraved for an additional cost. These side blocks are approximately 1" x 2.5". Blue crystal gives definition to these sides and shows through at the top of the award. ***Note: Individual perpetual block engraving is NOT included in the price of this award. To add individual plate engraving to your order, please add Product #6784 to your cart.